There are endless color care products on the market but during summer, color protection is especially important on your beach-basking days. Below are a few products new to my radar that I’m using for summer hair protection. 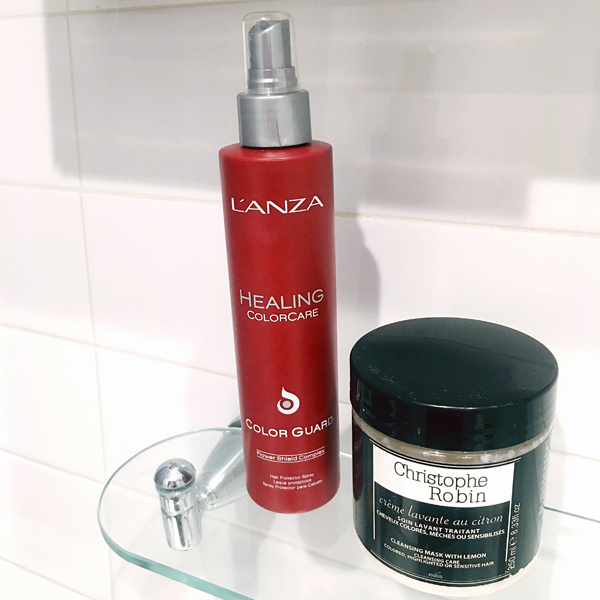 L’Anza Healing Color Guard – I use this Color Guard spray on dry hair befor I shampoo or contact with water (aka the pool or ocean) to extend my hair color and prevent water-induced color fading. Christophe Robin Cleansing Mask with Lemon – This non-detergent, low-lathering shampoo fixates hair color, adds shine, and restores what the hair lost during its chemical process, all while soothing and nourishing the scalp. The Cleansing Mask with Lemon is best used as an overnight treatment or can be applied onto wet or dried hair for 20 minutes before washing. This is my go-to scalp cleanser after a day in the sun when my scalp is dry or my hair feels damaged. 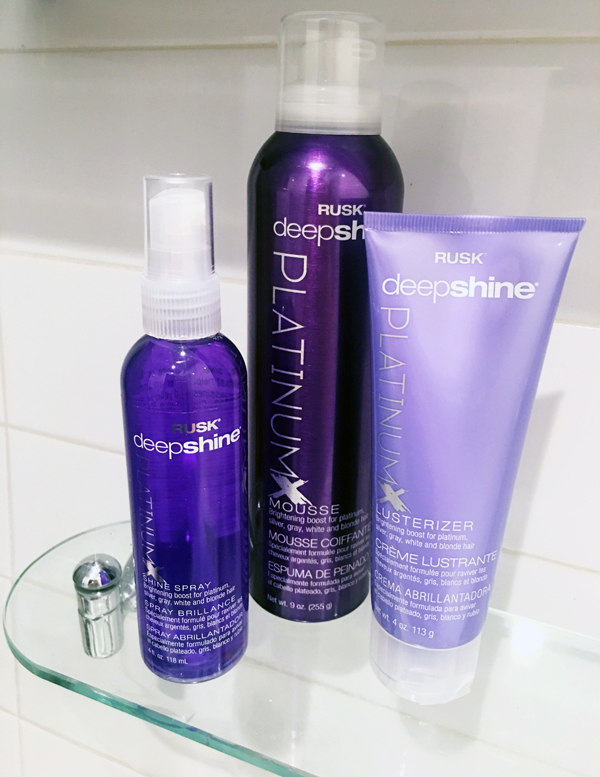 RUSK Deepshine PlatinumX Collection – Whether you freshly dyed your hair blonde, white or gray, we’re all concerned about color fading, going into the pool with chlorine and just overall brassiness (yuck!). RUSK Deepshine PlatinumX Collection deposits the perfect amount of violet pigment to neutralize brassiness and yellow tones and the range includes everything from mousse to creams and of course shampoo and conditioners. My current favorites from the line are the Deep Shine Spray, Mousse, Lusterizer, Shampoo, Conditioner, and Repair Treatment.